In a highly diverse multilingual reality as today’s society is, grasping the linguistic repertoires of pupils can be quite a challenge. However, it is important, not only to enhance both pupils’ and their teachers’ consciousness of the complexities of language use but also for schools to work on their multilingual policies. In this chapter, we present data from 100 pupils from both secondary and primary education who participated in focus groups and presented their language use in “language passports.” Construction of language passports is a classroom activity to increase language awareness, which allows pupils to present a clear overview of the languages in their repertoire. Results of the study indicate that language passports reveal the unconscious processes underlying the use of linguistic repertoires. 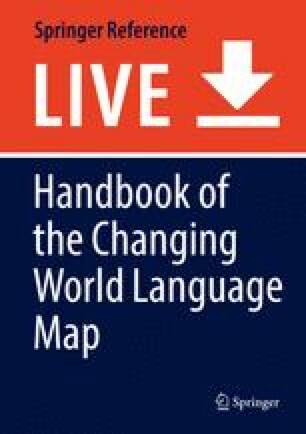 The language passports demonstrated that multilingual pupils do not exclusively use the language of schooling with people from school but also to a great extent with people outside school such as friends, parents, and siblings. 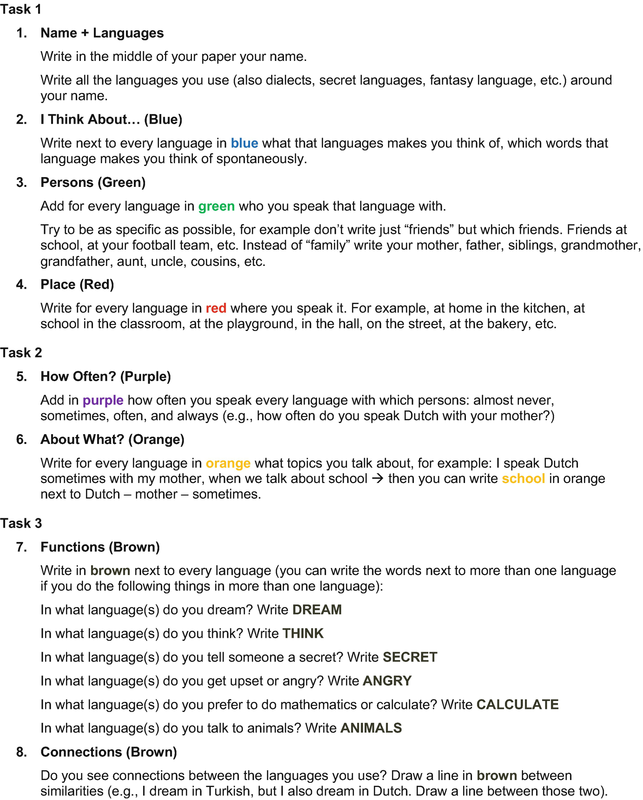 Dutch is used most often for calculating and thinking, which is not surprising, since it is the language of schooling. The pupils’ home languages are more often used for “emotional” functions such as dreaming or telling secrets. The language passports clearly demonstrate how dynamically and flexibly multilingual pupils use their linguistic repertoires. The research reported in this chapter has been funded by the Flemish Ministry of Education (OBPWO 12.03).